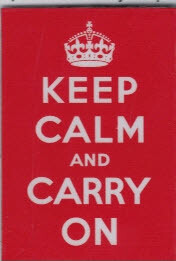 Barter Books : HMSO : Fridge Magnet: 'Keep Calm and Carry On'. Plastic. Set of 10. The original HMSO poster on which this magnet was based was published in 1939.